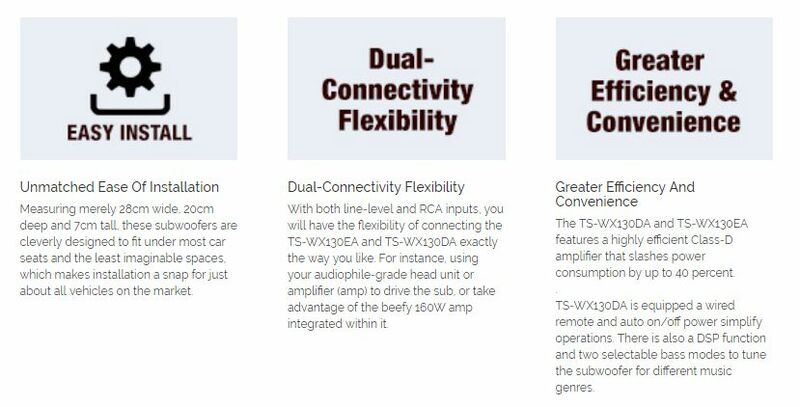 Extremely compact, yet deceivingly powerful, the latest Pioneer TS-WX130EA and TS-WX130DA are the perfect subwoofers for cars with limited space, such as small hatchbacks and sedans. Now you can enjoy the same addictive deep and solid bass offered by our regular subwoofers, plus the benefits of greater convenience and connectivity. I am interested in the "Gladen Alpha 165 Component Speakers (With Gladen Coaxial Speakers & Pioneer Subwoofer)".